← 2016 Young Writers Contest Begins! In 2009, archaeologists came across a female effigy believed to be the Goddess of the Earth buried inside of German soil. The radiocarbon dating tests came back. They indicate that this clay deity was molded by European hands 40,000 years ago. 40,000 years ago. This is the time she beckons us to. This is the world she hopes we will remember: where man and woman alike, held the soil in their hands and saw the value and sanctity of women and of the Mother Earth. This is the world that still flows through our veins, however deafened we have become to it. With prayer we can learn to hear it once again. Our task is to shake the amnesia. To not be ashamed of our European-ness, but to reclaim our beautiful grandmothers, to reclaim our venerable grandfathers, to reclaim our lost languages, our lost ceremonies, our lost homelands and become one with the Great Sacred Motherland of Europe once again. The European diaspora is spread all throughout the world, searching the planet for something that lives inside. I promise you will hear it when you climb the mountains of Switzerland! Of Scotland! Of Tuscany! Of Hungary! Of Portugal! Of the Great Sacred Motherland of Europe! Just because bad things happened upon her bosom does not mean she is bad. Because that’s what matters most, doesn’t it? Not how the story goes… but how it ends. We each hold a pen. Now, let us co-author a story of how humanity fell in love with itself and its Mother Earth once again. Shall we? 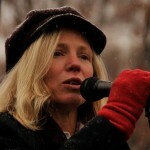 Lyla June Johnston is a poet, musician, anthropologist and human being, from Taos, New Mexico. Her passion for peace unfolds both outside of herself through community organizing and within herself through continual prayers to forgive and love a wounded world. 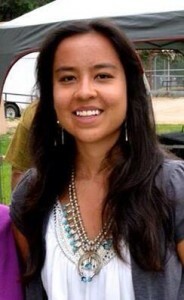 Learn more about Lyla and her work here. (c) Copyright 2016. Lyla Johnston. All Rights Reserved. Reprinted here with permission by the author. 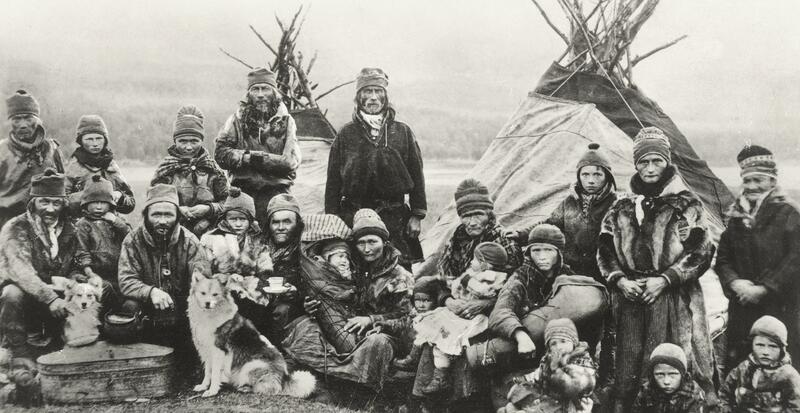 Photo courtesy of Wikicommons: Sami Indigenous Peoples of Norway, circa 1900. They are standing beside their “lavvu” which look strikingly similar to the tipis of Plains Indigenous Peoples of North America. Writing for Peace challenges young writers (ages 13–19) to expand their empathy skills by researching an unfamiliar culture and writing from the point-of-view of a character within that new world, while exploring social, political, and environmental pressures, and universal themes. We’ve extended the submission deadline to April 15, 2016 at midnight (Mountain Time). There is no fee for participation. Check out our guidelines here. This entry was posted in Activism, Inner Peace, Peace, Uncategorized, Violence Against Women, Young Advisers, Young Writers Contest Guidelines and tagged Lyla June Johnston. Bookmark the permalink.